In tweets just hours apart, President Donald Trump says that FCC should look into SNL, because the show makes jokes about him and mocks him. 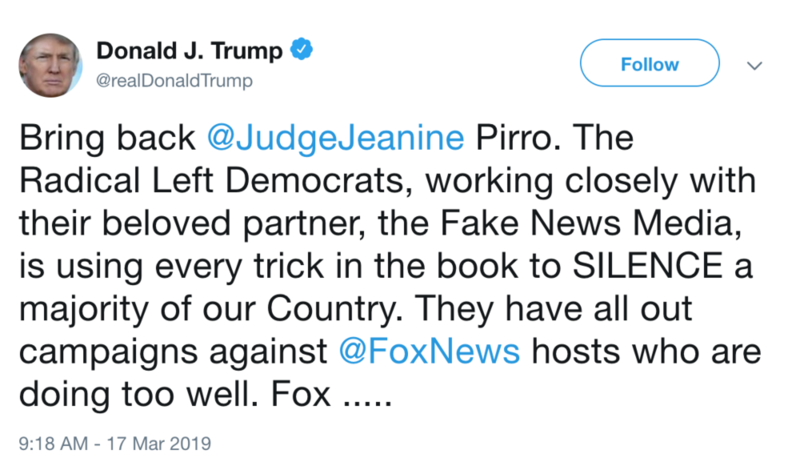 Then, later he tweets that Fox News should put Jeanine Pirro back on the air. Pirro appears to be suspended by Fox News for her Islamophobic rants and preaching hate. So, make a joke about Trump, FCC should investigate. Preach hate, you should be back on TV.